The opening of this year’s Climate Week NYC was punctuated by the arrival of the latest wave of participants in a growing trend: Bank of America, General Motors, Wells Fargo & Co, VF Corp, and Apple joined The Climate Group’s RE100, an international coalition of corporations committed to adopting 100% renewable electricity. 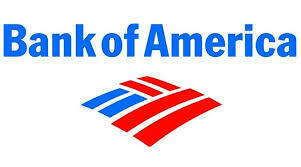 During the inaugural event on September 19th, Bank of America announced its game-changing aspirations for 2020— carbon neutrality, 100% renewable energy, and a reduction of energy use (-40%), water use (-45%), and greenhouse gas emissions (-50%). The bank has already made considerable headway, with a 37% reduction of emissions between 2010-2015 and its transition to Texan wind power for its data centers rooted in the same state. The evidence of progress of its $125 billion environmental business initiative continues to show in the form of energy efficiency projects, downsizing, a shift towards green electricity, and the acquisition of carbon offsets. Though tech giant Apple has made ample progress already, with 93% of its global operations powered by renewable energy, it’s clear they believe there’s still more to accomplish. “We’re excited to share the industry-leading work we’ve been doing to drive renewable energy into the manufacturing supply chain and look forward to partnering with RE100 to advocate for clean energy policies around the world,” announced Lisa Jackson, the company’s vice president for environment, policy and social initiatives. In its pursuit of incorporating renewable energy into supply chains, Apple is installing more than 4 GW of new clean power worldwide by the end of this decade, and announced its collaborators Catcher Technology and Solvay SA would be powered by 100% renewable energy by 2018. GM’s RE100 pledge ties it to a 2050 goal of sourcing or generating all green electrical power for its 350 operations present in 59 countries. The company added that electric vehicles and improved efficiency in manufacturing are also on the agenda. According to GM sources, the company already saves $5 million annually from its use of renewables, a figure that is only projected to increase. With 22 facilities equipped with solar arrays, 3 landfill gas-powered sites, 4 facilities soon to be powered by wind, and a 30 MW solar array project destined for locations in China, GM is set to exceed its previous 2020 goal of 125 MW of clean energy. Wells Fargo & Co. aspires to power 100% of its operations worldwide with clean electricity by 2017, with long-term renewable electricity projects further down the line by 2020. VF Corp. — of which The North Face, Wrangler, Timberland, and other apparel and shoe brands are a part of — announced it too would be powered 100% by clean energy, by 2025. These companies join pre-existent RE100 members including Coca-Cola, Google, IKEA, and BMW, and nearly 80 other global companies.